It means that API call does not wait for results and does not block other calls. After the execution is finished, it will run a callback or inform about particular parts using events. Although Node.js runs on single thread with event looping, it can handle more number of requests because it uses asynchronous, non-blocking way to handle code execution. It is a tool which takes care of installation and update of reusable modules. It also handles version and dependency management of reusable modules from online collection. 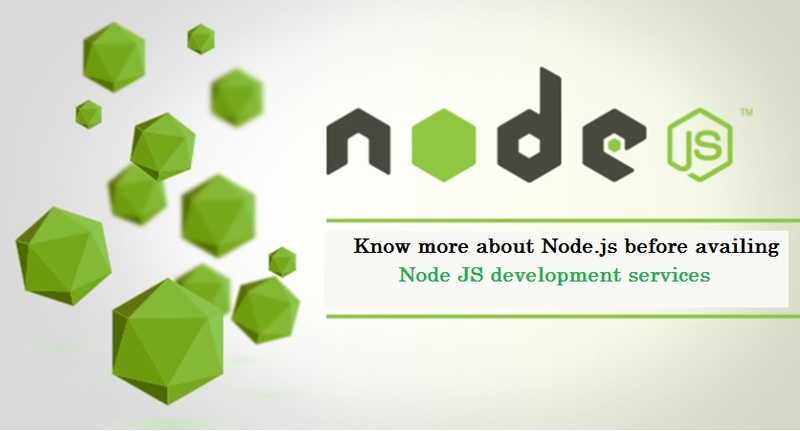 Node.js is extremely popular and it has become one of the most used technologies. With the increase in number of people choosing to build their business apps using Node.js, more number of companies worldwide have started to deliver Node JS development services, hence the community of Node.js developers is also growing. Node.js works on single thread. Although it may sound like a bottleneck, the approach is worth considering as it offers benefits such as it avoids context switching. Event loop is built on ‘libuv’ which is responsible for handling the processing of asynchronous events. Event loop handles events queue that comprises of events along with their callbacks. For example, when a client sends a request to the Node.js server, the function that handles the request is placed into event queue and is handled by event loop. Although the event loop runs on single thread, all long-running tasks are executed asynchronously on worker threads, which return the results through callback. This provides an asynchronous, non-blocking way to handle the execution of the code. Node.js is perfect for building real-time web apps. If you want to create website with Node JS, partner with an experienced company for quality Node JS development services. A company that is backed by a team of seasoned professionals can understand your needs and deliver the right solutions that help you meet your business objectives.